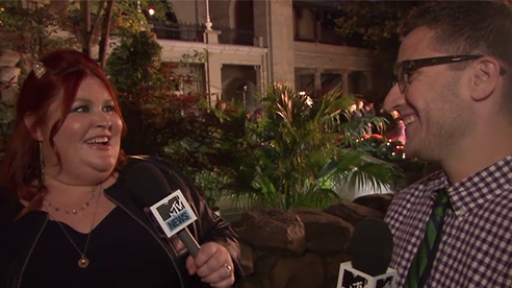 With The Mortal Instruments: City of Bones set to be released on Blu-Ray and DVD tomorrow in the U.S., we chatted with Cassandra Clare last week about all things City of Bones, including her one-second cameo in the film, her strange premiere experience and which of her author friends is the biggest fan of the City of Bones movie. Fans of Clare may have noticed her brief cameo (blink and you miss it) in City of Bones during the scene at Magnus’ party. Clare played a cat demon in the scene and seeing herself in the film reminds her of the fun she had on set that night. Clare said that while audiences cannot actually tell, it was freezing during that fall night shoot in Toronto. When we asked Clare about the most surreal experience during the film process, she pointed to the world premiere of the film in Los Angeles back in August, prompting an “I’ll never do that again” response. Spoiler alert: the heel did in fact make it through the night. Her publicist stuck it back on with gum. 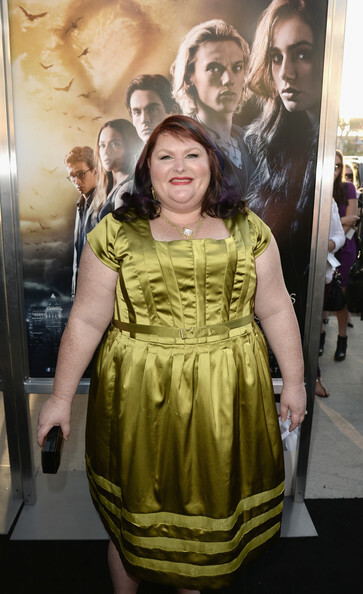 Many of Clare’s author friends attended the LA premiere of City of Bones to show their support, including Leigh Bardugo, Tahereh Mafi, Ransom Riggs, Kami Garcia and Margaret Stohl. So we just had to ask: Which of her author friends is the biggest fan of the film? That’d be Clare’s BFF and Magisterium co-author Holly Black. and trendy system jewelery. Several costumes on this list would have also been on the list in the 1980’s.